Exploring the hidden gems of Aotearoa with Whakatane-based tour company Group Travel New Zealand. Whakatane-based travel specialists Group Travel New Zealand take a lot of pride in being a 100% New Zealand owned tour company. The expert team provides customised tour plans that are ideal for individuals, couples, and small groups who want to explore the natural beauty of New Zealand, Australia and the South Pacific Islands. “We believe New Zealand is the best place in the world for people to visit,” says managing director, Roger Gallagher. Group Travel New Zealand has several fantastic packaged tours on offer which appeal to a wide variety of people. 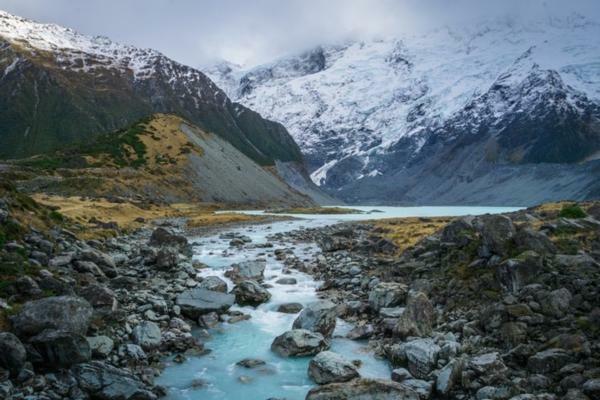 Travellers have the opportunity to enjoy up to 21 days being guided through New Zealand’s most picturesque attractions across the North Island and the South Island with a tour of their choice. An additional luxurious 15-day guided tour ‘Off the Beaten Track’ also includes an exquisite food and wine experience. “Off the Beaten Track is our own design with pre-booked accommodation, transport and driver guide,” says Gallagher. Group Travel New Zealand puts quality customer service at the forefront of their business. “We show understanding and respect for others, for their privacy, their freedom to choose, and their right to object,” says Gallagher. With a strong care for people and the environment, the company truly exudes the spirit of humble Kiwi values in all its glory.